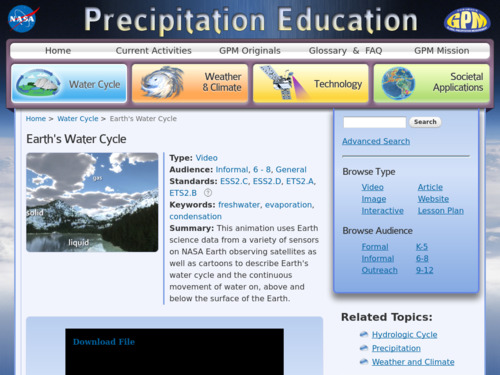 This classroom activity is aimed at an understanding of different ecosystems by understanding the influence of temperature and precipitation. 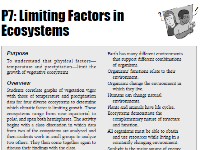 Students correlate graphs of vegetation vigor with those of temperature and precipitation data for four diverse ecosystems, ranging from near-equatorial to polar, and spanning both hemispheres to determine which climatic factor is limiting growth. 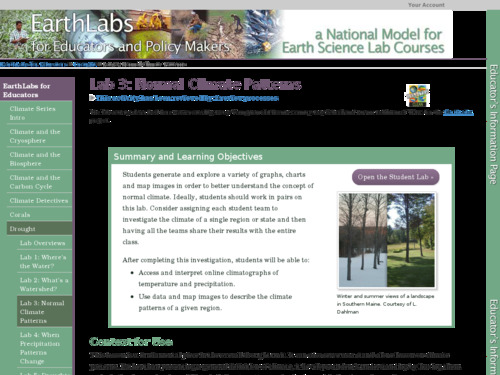 This activity develops students' understanding of climate by having them make in-depth examinations of historical climate patterns using both graphical and map image formats rather than presenting a general definition of climate. 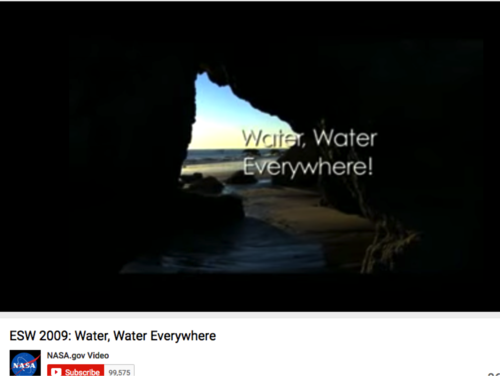 Students explore local climate in order to inform a pen pal what type of weather to expect during an upcoming visit. 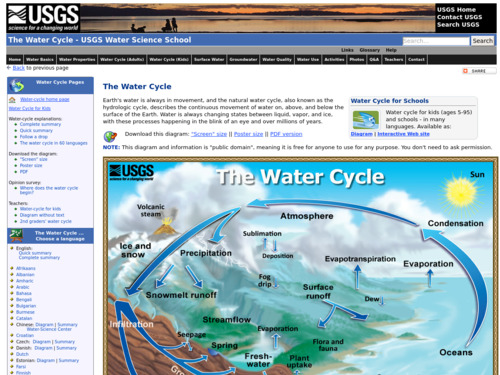 Students generate and explore a variety of graphs, charts, and map images and interpret them to develop an understanding of climate. 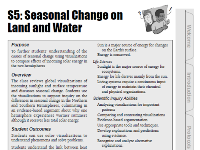 In this worksheet-based activity, students review global visualizations of incoming sunlight and surface temperature and discuss seasonal change. Students use the visualizations to support inquiry on the differences in seasonal change in the Northern and Southern Hemispheres and how land and water absorb and release heat differently. The activity culminates in an argument about why one hemisphere experiences warmer summers although it receives less total solar energy.